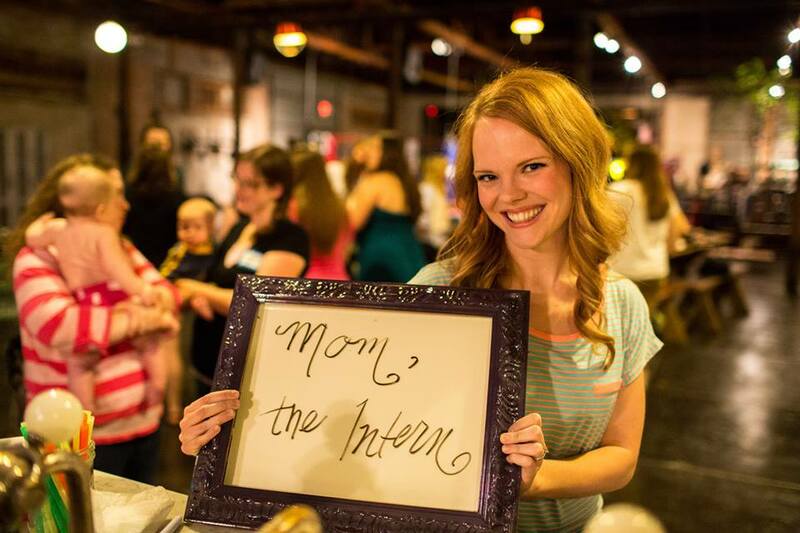 Mom, the Intern: Blog hatin' or lovin'? Sometimes, I look at others' blogs and start to get a little covety. Other people have so much useful or interesting information to offer and they seem to just "get" it, whatever it is they're blogging about. Fashion, urban farming, food, dating -- you name it, it's being very effectively blogged about somewhere. Then, I come back over here and think, What's my THING? Let's face it -- my blog is so random. And at times, I'm not sure how I feel about it. Should I embrace the lack of direction or should I start trying to figure out who I am? Questions, questions. A few weeks ago, I went to a fun Arizona bloggers' meet-up at this place called The Duce in downtown Phoenix. First of all, The Duce is an absolute HOOT. Dill and I will definitely be heading back for a date night once we can get off this endless Ferris wheel of strep throat/stomach bug that we're currently stuck on. But anyway, The Duce is a grill, bar, shake shop, boutique and rec center all in one. It even has a boxing ring. A BOXING RING. Not to mention hula hoops, board games, shuffleboard, bean bag toss and a big screen for spontaneous movie-watching. The staff at The Duce hooked us bloggers up with some of the most amazing cheesecake to ever touch my lips. The best was their S'mores cheesecake -- graham cracker crust, chocolate cheesecake in the middle and a toasted marshmallow topping. I might have had three slices of that goodness. We all eventually took some time away from the cheesecake and Blogger Bingo for a photo op. Can you spot the Intern? I met so many great women at this function and almost all of them had something unique and specific to offer to the Blogosphere. (There were a few randoms like myself and we hit it off nicely -- I'm talking about you, Ali!) Don't get me wrong; I had a blast getting to know these ladies while hanging out at The Duce, but all night I couldn't shake the feeling that my blog just "is what it is" while other blogs seem to have a clear purpose and direction. I started to even get embarrassed to explain my blog. At some point, I simply stopped talking about it altogether. What's the point? No one cares, I thought dejectedly. Poor blog! But then, I remembered that some people do care. There are at least three people who faithfully read whatever I write, even when it's crap, and they are Dill, my mom and my dad. They don't always comment, but they read it. These people loved me long before I ever started this blog way back in January of 2009. They think I am such a fabulous writer that I should pen a novel or something (not sure I agree with that, but I'll take it). So, at the end of the day, if everyone stopped reading except for them, I'd keep writing. Why? Because I love them, and they're the reason I started writing in the first place. At the blogger meet-up, I had my picture taken with the Frame of Fame, despite feeling a little mediocre compared to all the fabulous writers around me. But hey, I may not understand my blog and maybe it doesn't have a specific purpose, but it's my baby. As you know, moms love their babies no matter what. Even if they're a little awkward or funny-looking. And Mom, the Intern loves her funny-looking 4-year-old blog baby, too. I have no plans to become a famous blogger anytime soon, but I do plan to keep this thing up until it reaches adulthood and starts playing video games and eating cheese puffs in the basement all day. Let's hope it doesn't come to that. And hey, if you're reading this, thank you. From the bottom of my heart. I love reading your blog. I think it's great! I often thought the same questions about my blog but then again, hey, it's your own space. Do with it as you please. I happen to enjoy reading so keep up the great work!! Haha ok first of all....I fixated on that "urban farming" statement in your opening paragraph and suddenly desperately wished that could be my blog topic. Second, the Frame of Fame...you kill me! That illustrious purple frame came straight from my wall. I have to hang it back up and put its rightful picture back in it. But I think we can safely say that my purple frame has been on more people's blogs in the last few days than I can ever hope to achieve. baha. Thirdly, I like your blog and its randomness. I think a lot of "lifestyle" bloggers fall in that category. We just are what we are! I love that you kidnapped your own frame and brought it to the blogger meet-up. Genius! Glad to find myself in good company! Jenna, you rock! I want to be you when I grow up! I love your blog, and I think you're a fantastic writer. I'm sending you an email 'cause I wanna spill some private stuff, but please keep blogging. I totally know what you mean when you say your blog is your baby, haha. I LOVE the randomness of your blog! To me, it's better than a one-trick-pony blog. You cover a wide array of topics, issues, and fun things that I know there will always be something new! Don't change a thing!! And trust me, you have WAAAY more than three readers! I tell people how awesome you are all the time! I know of plenty of people who follow you, or reference your posts etc, and they've never even met you! You rock!! Aw thanks Rebecca! You rock, too. I will miss your face when you move. We should have hung out more often. I'm dying right now. I feel like we were best friends in Nother life and have been reunited in blog land lol. I love your guts and your blog and the freakin blurb you have about loving feedback as much as food. Stop it. Lol I'm so happy you signed up for the crafty pants party I was hoping you would. 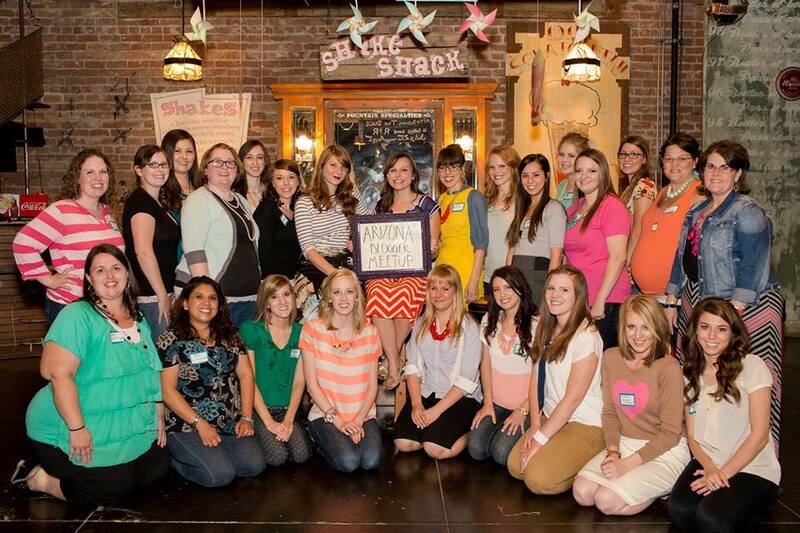 :) next time you'll be an AZ blogger meetup pro! Everyone starts out a a "baby blog" no one starts out with 1200 followers and sponsors and what not (except those weird people that hound giveaways.. Eww is what I say to that) a wise blogger friend told me that "if you build it they will come. As long as the content is there you will grow. And since you rock I have no doubts. You're awesome, Chrissy! I loved chatting with you that night and I'm stoked beyond belief for the Crafty Pants Partayyy! Thanks for the words of encouragement! Your blog is perfect. It's kind of like watching the news. The topics are random and different and don't focus on the same story everyday. It's fitting for you and your career choice! It covers a little of everything to reach out to everyone! Really good point, Sara! I hadn't considered it! Megan, maybe Sara (up there) has a good point -- with our news background, we feel a need to cover a lot of topics! I say let's embrace it. Awww I love this!! And I promise I read every post too! (I'm just a horrible commenter hahaha) I was SOOO glad I met you! Can't wait for the next meetup! OOOOORRRRR we should get together for a play date! Love the Blog Jenna!I'm not much of a commentor but I've been a faithful reader for a few years now. I missed asking a question a few posts back but I have one. Are you still going the no poo method? I'm just going to chime in with everyone else and say I love your blog. I don't ready crafty blogs often, only for craft info on specific craft posts that aren't too hard, that I manage to stumble upon on Pinterest. And who could stand to read food blogs every day? BORING! Random keeps things interesting... At least that's what I tell myself cause let's face it, my blog is Random with a capital 'R'! I FEEL LIKE THIS ALL THE TIME!!!!!!!!! But then I remember that the very large majority of the reason I blog is for me and because I love it! I always read Jenna! I may be uber slow about it...like 20 days later...but I always read it. :) You always have something good to say and your kids are always super cute.